The North American company Fanatics makes available a collection of balls with the autograph of the Slovenian and its initial price is 165 dollars. 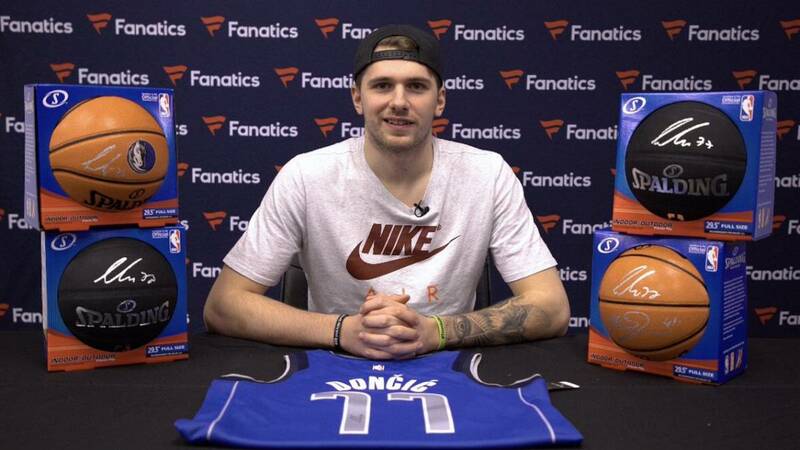 Luka Doncic and the Fanatics brand have signed an agreement that allows this line of sports merchandising to sell collection of basketballs with the autograph of the player of the Dallas Mavericks. The price of each one of these balls will be of 165 US dollars, equivalent to about 145.90. The Slovenian is being sensation of the season after averaging 20.8 points 7 rebounds and 5.5 assists in its first 53 games in the NBA. With 19 years old he is capable of liderar the Texan block in any situation, starring in performances such as the comeback he reaped last Sunday against the Blazers. Your name is up among fans, as seen in the public votes of the All Star Game, and the North American brand wanted to take advantage of it at the time, because in addition to marketing with sports products, it has released several collections that years later have been revalorized.